WASHINGTON (March 15, 2016) – Over three-quarters of surveyed households would purchase a single-family home if they were to buy in the next six months, and 79 percent of renters would choose to buy outside of an urban area, according to the second installment of the National Association of Realtors® new quarterly consumer survey. The survey also found that confidence about now being a good time to buy is waning amongst renters, particularly in the West – where prices have solidly risen. In NAR’s first quarter Housing Opportunities and Market Experience (HOME) survey, respondents were asked about their confidence in the U.S. economy and various questions about their housing expectations and preferences, including a question on if they were to purchase a house in the next six months, what type of home and in what area would they choose to buy. The survey data reveals an overwhelming consumer preference for single-family homes in suburban areas. Most current homeowners (85 percent) and 75 percent of renters said they would purchase a single-family home, while only 15 percent of homeowners and 21 percent of renters said that would buy in an urban area. According to Yun, it’s time for homebuilders to double their focus on constructing single-family homes. With millennials increasingly buying in the suburbs – as NAR reported earlier this month – tight inventory and affordability concerns will likely worsen without significant headways made in housing starts in relation to job creation. Heading into the spring buying season, NAR’s survey found that compared to the December 2015 survey the same share of homeowners (82 percent) but fewer renters (62 percent versus 68 percent last quarter) believe that now is a good time to buy. Overall, respondents over the age of 65, those living in the Midwest and those with incomes over $100,000 were the most optimistic about buying now. Among current homeowners, fewer (56 percent) believe it is a good time to sell compared to the fourth quarter of 2015 (61 percent). Amidst steep price increases and tight supply, respondents in the West were the most likely to think now is a good time to sell, while also being the least likely to think now is a good time to buy. Among all households in the survey, less than half believe the economy is improving (48 percent), down from 50 percent in last quarter’s survey. Renters, those living in urban areas and respondents with lower incomes were the most optimistic. The HOME survey’s monthly Personal Financial Outlook Index2 of all households has slightly dipped (to 58.1) since December (59.6), but is mostly unchanged from March 2015 – reflecting stable confidence that respondents’ financial situation will be better in six months. Currently, renters, younger and lower income households and those living in urban areas are more optimistic about their future financial situation. Across all age groups, when asked about their future buying preferences, survey responses were closely tied to each generation’s typical lifestyle, with younger buyers being more likely to consider buying a single-family home. Not surprisingly, renters and younger buyers would for the most part purchase larger homes, whereas older buyers would purchase similar or smaller sized homes. Highlighting the apparent appetite for some older households to downsize and live in the city, respondents over the age of 65 were the most likely to consider a condo and nearly as likely as respondents under the age of 35 to consider purchasing in an urban area. Most respondents indicated their preference to stay in a similar area to their current living situation if they were to buy in the next six months. Over two-thirds of those living in rural areas and 75 percent of those living in suburban areas would buy in a similar area. Only those living in an urban area would be more likely to move elsewhere, with a suburban area within 20 miles of the city being the most frequent choice of urban buyers moving to another type of area. In January through early March 2016, a sample of U.S. households was surveyed via random-digit dial, including half via cell phones and the other half via land lines. The survey was conducted by an established survey research firm, TechnoMetrica Market Intelligence. Each month approximately 900 qualified households responded to the survey. The data was compiled for this report and a total of 2,781 household responses are represented. 1NAR’s Housing Opportunities and Market Experience (HOME) survey tracks topical real estate trends, including current renters and homeowners’ views and aspirations regarding homeownership, whether or not it’s a good time to buy or sell a home, and expectations and experiences in the mortgage market. New questions are added to the survey each quarter to reflect timely topics impacting real estate. HOME survey data is collected on a monthly basis and will be reported each quarter. 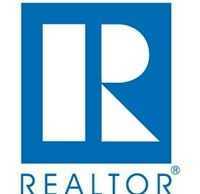 New questions will be added to the survey each quarter to reflect timely topics impacting the real estate marketplace. The next release is scheduled for Wednesday, June 15, 2016 at 10:00 a.m. ET.